Global insurance provider Clements International is part of an elite group of independent insurance agencies around the United States participating in the Independent Insurance Agents & Brokers of America (IIABA or the Big “I”) “Best Practices” Study Group. Each year since 1993, IIABA and Reagan Consulting, an Atlanta-based management consulting firm, join forces to study the country’s leading agencies in six revenue categories. The agencies comprising the study groups are selected every third year through a comprehensive nomination and qualifying process and awarded a “Best Practices Agency” designation. The selected “Best Practices” agencies retain their status during the three-year cycle by submitting extensive financial and operational data for review each year. Click here to read the official press release. Clements International has been shortlisted for the Expatriate Management and Mobility Awards (EMMAs), sponsored by The Forum for Expatriate Management (FEM). These awards recognize industry leaders, business successes and rising stars in global mobility. Clements is being considered for International Benefits Provider of the Year, along with Aetna Global Benefits, Mercer and NET EXPAT. The winners will be determined by a panel of judges representing different areas of the global mobility industry around the world. FEM will be awarding the EMMAs at a ceremony in New York this October and in a second ceremony in London this November. To learn more about Clements International’s EMMA Award nomination, visit emmas.totallyexpat.com. Announcing the 2010 Expat Youth Scholarship Finalists! We are pleased to announce the winners of Clements International’s 2010 Expat Youth Scholarship! We received 500 entries and awarded a total of $10,000 to six outstanding students. This year’s scholarship contest asked expat students to answer the question, “Where would you go in your flying house?” Participants drew on their experiences living in a foreign country to imagine where their journey might take them next through an essay and creative image/photograph incorporating the contest’s flying house illustration. Three winners in two age categories were selected by a distinguished panel of judges from the expatriate community. Canadian Expat in South Korea and the U.S.
To view the winning entries and learn more about the scholarship, visit www.expatyouthscholarship.com! Clements International’s Vice President Tarun Chopra will present at the IE Group’s Financial Forecasting & Planning Summit on September 9-10, 2010 in Boston, MA. This program brings the intelligence, innovation, and leadership of the industry together to focus on the solutions offered by innovative financial planning and business forecasting. The Summit is known for its interactive format, encouraging audience interaction and participation. Other confirmed speakers include financial executives representing global companies, such as AT&T, Adobe Systems, Logitech, Avon and Citigroup. Click here for more information about the IE Group’s Financial Forecasting & Planning Summit. Clements International, the leading provider of global insurance solutions, has named Tarun Chopra as vice president of finance. Mr. Chopra brings over 17 years of experience in finance, accounting, strategy, and M&A leadership with global companies, including Fannie Mae, Whirlpool Corporation, Boston Consulting Group, and Ernst & Young. 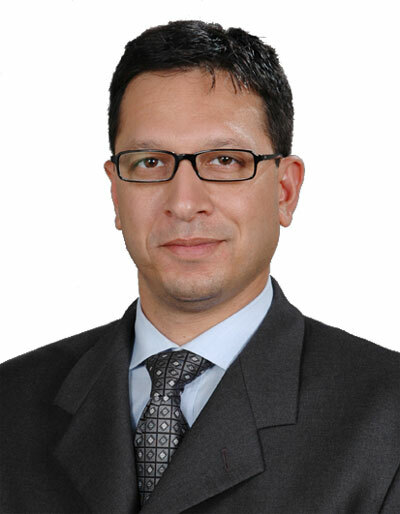 Mr. Chopra has leadership experience in managing financial operations and global strategic projects in Asia, Australia, Europe, North America and Africa. As vice president of finance, he is responsible for leadership, strategic and oversight accountability of Clements International’s Finance division, in addition to corporate compliance, among other responsibilities. He has a Chartered Accountancy and earned his MBA from the University of Melbourne. Click here to view the official press release.